It's fitting that a Seattle jewelry designer (Lisa Richardt) crafted the horseshoe necklace Dakota Johnson favors as Anastasia Steele in the Fifty Shades of Grey film--it's an inadvertent local touch added by the film's costume designer, who purchased the piece at a West Hollywood boutique. Anastasia wonders if Christian will spring for the matching earrings. Seattle Refined reports that Richardt's business, Veronica & Harold, has seen a surge of orders since the film came out. “I haven’t figured out how to keep up with production, especially because I make every single piece myself," Richardt said. Ah, today is indeed our lucky day: FSOG in our DVD player, FSOG in our wine glass, and now a little piece of FSOG around our...neck. Mark Beaman gives FiftyShadesOfGreyFan.Org a taste of what blending wines with E L James was like, where her only rule from the start was: no Chardonnay or Cabernet Sauvignon, and nobody gets hurt! Beaman worked closely with "Erika" to establish respectful nods to the Alsace and Sancerre mentioned in the FSOG books (he read all three!) for the floral White Silk, and to create a savory, masculine flavor for the Red Satin using Syrah and Petite Sirah as a solid base. 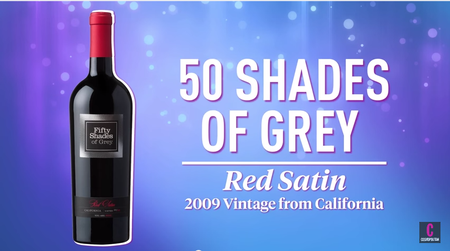 Beaman also discusses the remarkably thoughtful process of creating the Fifty Shades of Grey wines--how the books' themes and the personalities of the characters affected blending choices, and the extent of E L James' involvement, which was substantial: "She is a woman who knows what she likes and she provided commentary and direction where she felt the wine needed to go." 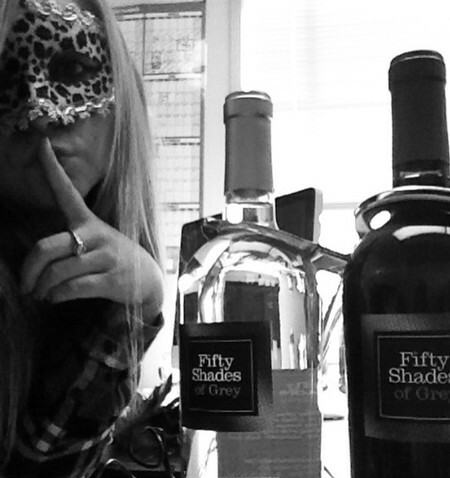 The FSOG wines have enjoyed "phenomenal" success: any chance there will be additions to the line, Mark? "That is up to Erika and to some extent up to the fans and consumers... If enough people ask for it we would do our best to honor if she wanted to add to the lineup." Hmmm.... could that addition perhaps be a FSOG Champagne?? "We would of course call it a “sparkling wine” in respect to our friend’s region in France... I love the idea though, since there is never a bad time to have a glass of bubbles and Christian and Ana frequently enjoyed it."